When your searching for a painter, or house painting company all you have to type into a google search is Find me a painter in Ottawa, or ask Siri or any other smart phone app and you get a great list of painting companies near you. Painting a room or a house is one of the most cost effective and less expensive ways to upgrade your home. It is a popular home improvement project that any homeowner can attempt to take on. Some will be successful, while others may prefer to hire a professional. Here are 8 tips to ensure you have all the information you should know on How to Hire the Right Painting Contractor in Ottawa. Although there is a difference with a DIY painting job and the completed work of when you hire a painter to do it for you. A painter will ensure all the small details are never left behind. Some of those details are, ensuring there are no holes, nail pops, cracks or rough surfaces in the drywall that would need to be repaired before painting. A painting company would ensure that all the repairs to drywall such as patching, sanding, priming and paint are applied. A painter would also make sure that any seals around door frames and window frames, or along the trim and baseboards, crown molding, are properly caulked to seal before painting. Along with these services they would also ensure the ceiling is in good condition before painting or perhaps the stipple ceiling is to be removed before repainting, they can also paint over the stipple ceiling while ensuring the right paint and quality is used to cover properly. When hiring a painter, find out how long they have been in the painting business for. The more years they have been in business the more experience they will have to ensure all your questions are answered with knowledge based facts. A seasoned painter with 30+ years of being a paint contractor will have more experience, knowledge and expertise than someone who is either just starting or has been in business for only 2 to 5 years. Hiring an experienced painter will save you a lot of time, effort and money in the long run. Find out who will be doing the house painting in your home. 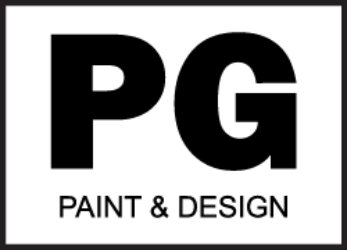 Are you hiring a personal painter who owns the business and also paints, and is on the job site each and everyday because he wants to ensure the quality is guaranteed to each client, and that they are available at all times throughout the process to answer any of your questions or concerns without having to email them or call and wait a few days to a week before you get an answer. Does the contractor use subcontractors? Meaning they will obtain the painting job from the homeowner, then subcontract it out to less experienced painters and pay them less then they would employees, turning over a bigger profit for themselves, and not be present on the job site. A professional painting job is only as good as the preparation work done before any paint is brushed or rolled on to any wall. The pre painting services are important factors to getting professional results for your home. Ask the painter who comes for the estimate what preparation work they do before the finishing coats of paint are applied. A good painting contractor will take the time to ensure all the pre-painting details are covered. 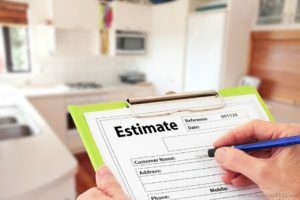 It should all be in an email detailing the scope of work or on a written estimate so that everyone is on the same page and there are no surprises at the end with additional costs to the homeowner who was not expecting them. Some painters will skimp out on the prep work just to cut corners, use cheaper brand and quality paints, and may not provide the minimum of 2 coats paint finish for the best results. Be wary of those that offer awesome deals, 2 for 1 deals or a certain dollar amount to paint one room. This will only cost you more in the end because what that special deal buys you is the cheaper quality paint product, No drywall repairs, No patching, No caulking or sealing, No sanding and usually only one coat of paint and that’s typically just for the walls. If you want the ceilings painted, or the trim, baseboards, frames well that’s all going to be extra. The workmanship will all show up in the end finished painting result, good or bad you will see the difference a quality paint product used by a professional and experienced painter does for your home. Can the painting company you are hiring provide you with references of previous clients that you can call to ask for their feedback? You should be able to get minimum 3 references up to 5 from a painter who is reliable and confident to give you the names of their previous clients for you to be free to call and ask your own questions about the painter. If they can only provide one or two references then be weary as they could be family or friends who will of course be giving you glorified reviews. When you are searching to find a house painter take the time to research their website , check their photo gallery to see the work they do. This gives you an opportunity to get to know the painting company a little better before you even contact them. Read the Testimonials and Reviews people leave. Go through them thoroughly. Trust your gut instinct when doing a search for a painter. After all this is the person you are inviting into and entrusting your home with. Watch this video from CBC’s Marketplace about fake reviews to be informed. Experience counts when hiring the right painting contractor. Can the painter answer your questions when they meet with you to discuss your home painting project and provide you the estimate? 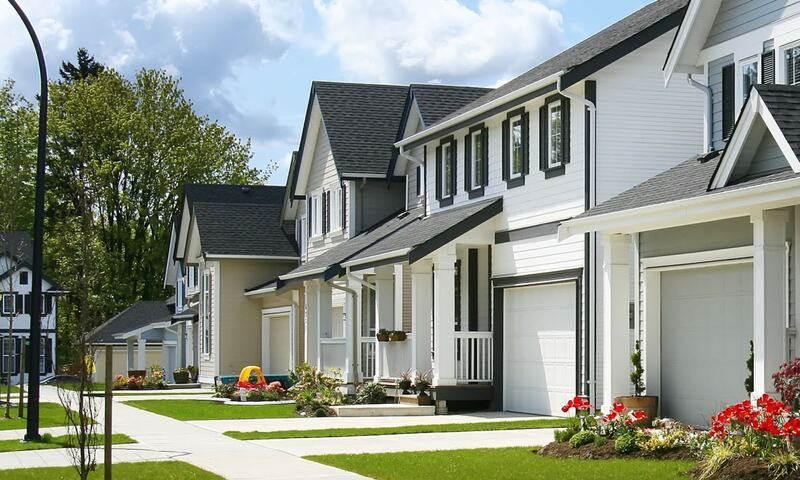 Usually an experienced painter will have the knowledge to suggest and recommend materials, paint products, finishes and sheens and even the latest paint colour trends being used in house painting in Ottawa neighborhoods. They should be able to recommend to you right after you ask the question, do not accept an answer like I will get back to you on that tomorrow I have to check my files. This will only give them the opportunity to go and google the answer to your question and then provide you with the answer they found online not because they have the years of experience and knowledge. When you meet with the painter or painters you are receiving painting estimates from make sure you discuss the scope of work you are looking at having done together. Ask them the questions you need to in order to be best assured and informed before accepting the quote. Some painting companies provide written estimates on the spot at the meeting, others will send you one by email following the meeting at your home. Either way it’s a good thing to have, as this is your written contract listing all the specifications, materials, whether paint is included or not and all the preparation work they will do before painting and the follow up after they’ve completed the job. It’s a good idea to get something in writing on paper or email as to what is included or not included with your painting estimate especially if the scope of the work to be done is big and detailed. It may not matter too much to have it in writing if you trust the painter when all you are getting done is one room for example. That’s pretty basic, prep, material, paint and cost can be even with a verbal agreement. Cost is always the first thing on a homeowners mind when getting a painting estimate from a painter. Get at least 3 quotes. Do Not focus on the cheapest price because what you need to remember is the lowest bid given by a painter may most times be because they are in desperate need of work, they will not be using quality paint products, they most definitely will not be providing all the preparation and detailed work that either the middle or higher end painting estimate. Do No be Afraid of the Higher Price either. Just like we all love to go out and buy designer labels and are willing to pay the extra price because of the better quality then consider the same for the painter you are hiring. 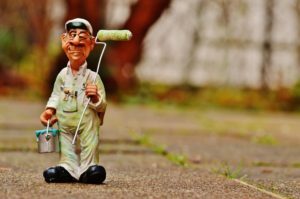 A painter who owns is own business, is committed to it by being on the job site each and everyday and physically doing the painting themselves. High quality end painting results are worth the little extra. Hiring for less will cost you more because sometimes you are left so dissatisfied by the bad painting that you may need to re-hire another painter with more expertise and knowledge in the business to re-paint everything again. Going through the whole process again would be disappointing and let’s not forget the cost as you would now be painting twice for the same project you were wanting to get done. The middle priced painting estimate may work out too, you can visit all the references, reviews and testimonials to help you decide. But do not base your decision on price alone. Remember that old saying ” if it sounds to good to be true, it probably is” trust your gut instinct. Ask around about the business and remember to to check their social profiles. Check if they have a facebook page where they share information and ideas for their local Ottawa community. What kind of following do they have 20 to 200 likes. That could just be their family and friends, if they have over 1000 then that means they are involved in the Ottawa Community and people are interested in what they are sharing on home decorating, painting, home improvements etc. Some may not have any social profiles and today with everyone being social online you need to be able to find the painting company and their social networks to see what people are saying. The internet is a great tool to find out a lot about who you will be hiring to paint your house. OK let’s demystify the myth of guarantee. A Painter can guarantee his work, meaning he will provide the best quality workmanship using the best quality paint products your budget allows. They can guarantee to come back if a spot was missed (as everyone is human) and it does happen. And they can guarantee that if the paint peels or cracks after a couple of days or weeks they will come back to fix it. They cannot guarantee that they will repaint anything if 2 or 3 years have passed. Because of the natural elements the exterior paint is exposed to and the interior paint if applied properly lasts for years. If you’ve scratched the walls while moving furniture or damaged the drywall somehow, have had water damage and now need repainting, please know there are no painters or painting company that will guarantee to come back and do that after 2 or 3 years for no cost as claimed in the warranties or guarantee. Please always read the fine print. Painters can not guarantee the paint product as the paint already comes guaranteed by the manufacturer. Painters don’t make the paint product and with today’s mostly water based paint products that are little to no VOC and environmentally friendly their composition is different from the more solvent based paints used 20 to 30 years ago. They were stronger and lasted longer, although paint manufacturers have improved the quality of their paint products very much over the years that they’ve become stronger and more durable once again. Read more about the difference between water based and solvent based paints to better understand why manufacturers have made changes over the years to the paints compared to when all paints were lead based. 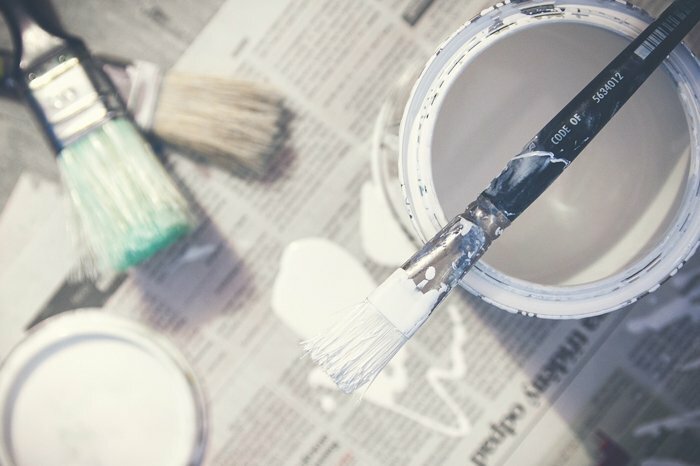 If you’ve hired a knowledgeable, experienced painter who knows what types of paints to use in the appropriate area then they can guarantee you a quality finished paint job with the right paint sheen or finish and if a higher end paint product is needed to ensure the durability of the painted walls. A painting contractor can guarantee the application and preparation process as mentioned above even after a couple of weeks or months. But if you stop to think about it for a moment, when you read that a painter that offers a 2 year or 3 year warranty or guarantee, ask yourself on what? If you’ve read the above you will know that once the painting is finished why would you call back the painter in 2 or 3 years if you have scratched the walls while moving furniture, or scuffed it up with shoes etc. This is not part of the guarantee/warranty and they will tell you that when you call them to come back in 2 or 3 years. For exterior paint, the same applies. The painter can guarantee the preparation process like sanding the wood, or scraping off old and cracked or peeling paint. They can guarantee that they will paint the exterior with the appropriate and quality paint product for the wood but they can’t guarantee you how long it will last. There are several reasons for that, couple of them being that our harsh Ottawa winters with extreme cold temperatures and our extremely hot and humid summers have an effect on the wood. The natural elements will make the wood expand and contract as will the paint over the years, this is absolutely normal. With proper care and maintenance tho you should have the exterior looking great for at least a few years if you’ve hired a professional painter who has the knowledge of the exterior paint products, and ensures the exterior painting is done at the appropriate outside temperature. It can not be extremely hot outside nor can painting be done in cold temperatures as the paint will not adhere properly in either of the cases. After the initial meeting in your home with the painter, it should not take more that 3 to 5 days to get an estimate. Make sure that all that was discussed is in the quote, such as the scope of work and all details from what kind of paint, to the materials for the prep work. We hope these tips on How To Hire The Right Painting Contractor in Ottawa have been helpful. If you have any questions related to painting simply contact us.